Stijn will highlight the perspective of an MVNE; and share a case study about the deployment of an Integrated Gateway Solution (SSP/STP) using TelcoBridges' Tmedia Gateways. 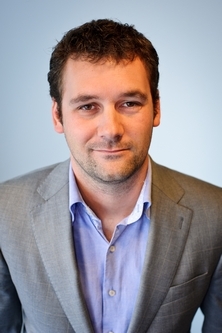 Stijn Nijhuis is the Co-founder and CEO of Voiceworks, founded in 2005, a young and fast growing company that has developed into a leading provider of mobile telephony, fixed telephony and data solutions for the business market in the Netherlands. Voiceworks is the first MVNE in the Netherlands to provide a complete Fixed Mobile Convergence portfolio of data and communication services to end-users, service providers, MVNO’s, wholesalers and dealers. Its state-of-the-art fixed–mobile integration brings the features and functionality of traditional phone systems to mobile users. The communication platform that Voiceworks uses is completely developed in-house and is considered leading in the world of telecommunications. Voiceworks was elected winner of the Deloitte Technology Fast50 for 2011, the election of the fastest growing technology companies in The Netherland and Belgium. In November 2012 Voiceworks received the Golden FD Gazellen Award, this award is given to fast-growing companies in The Netherlands. Born February 19, 1981, Stijn holds a Master’s degree in Information Technology from the Vrije University of Amsterdam. He has been named as one of the Young Entrepreneur of the Year 2012 by Ernst & Young. In addition to his CEO duties, Stijn leads the research and procurement business unit for Voiceworks. This includes responsibility for the establishment of the direction, strategy and delivery of Voiceworks’ innovation and product development activities. Previously, Stijn founded Redhosting, a young hosting company that forms Voiceworks sister company. Redhosting provides the ensurance of an stabile network and meets the most rigorous demands of Voiceworks largest customers. Frank will present a case study of a TB Gateway/Teles SoftSwitch successful deployment. He began his career at TELES in 1989 as a software developer, and played a vital role in building up the company. He supervised the development of the PBX and LCRs, as well as VoIP and GSM gateways. As Head of R&D, he was responsible for the entire R&D department of TELES Communication Systems since 2006. Frank Paetsch holds a Diploma in Computer Sciences from the Technical University Berlin. Mobile Vendor Network Operators and Enablers.